Also- just a few notes. You may be seeing apricots, nectarines, peaches and strawberries in the market. Don’t be fooled! With the exception of strawberries, all these fruits are being imported from nearby countries like Spain and Morocco. Why is this a big deal? You should make your own choice, really. It is just my philosophy to eat what is nearby and what is in season. Mainly, it just tastes better. The closer the food is picked, the fresher and mindblowing the flavor. 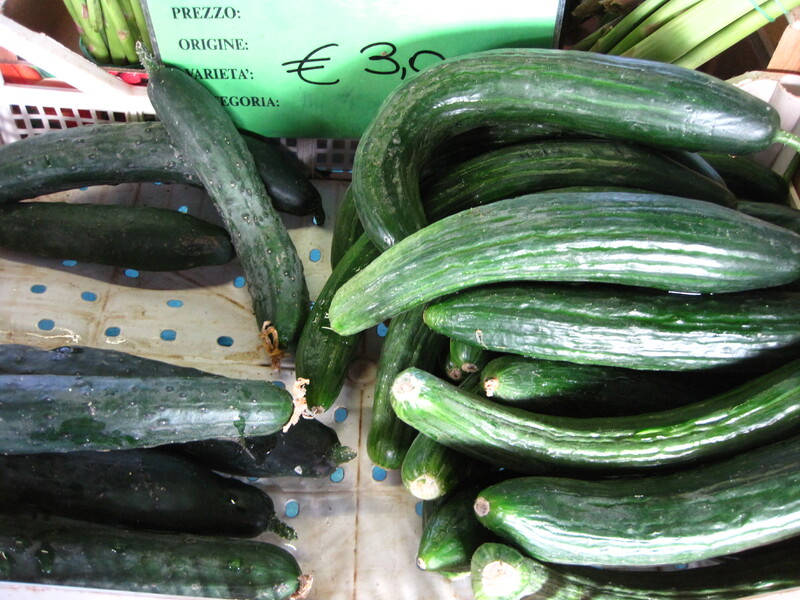 These are expensive zucchine, but they are from my favorite veg guy’s plot in Isolotto which is 5 kilometers from Florence’s center. The flowers are way yum. 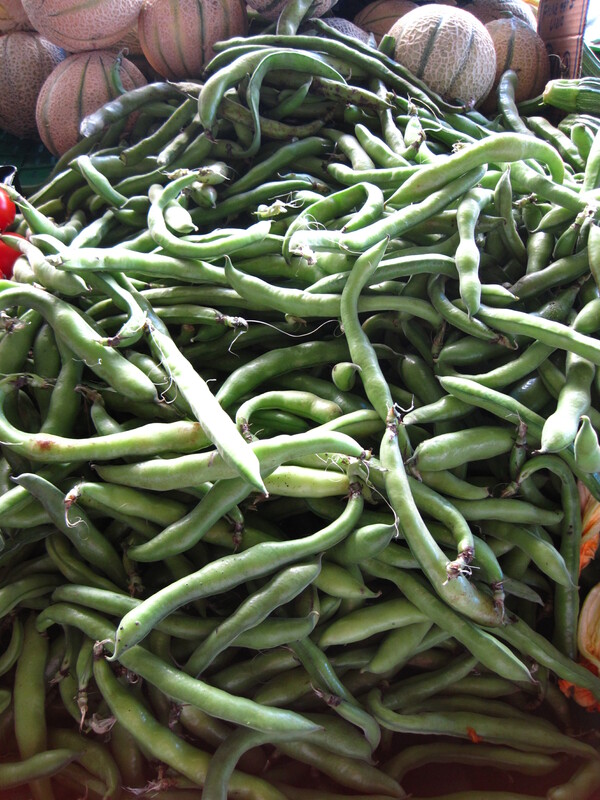 Baccelli (basically fava pods in English) are local and in season. Cook them with some pancetta and throw in pasta! Also cucumbers from my veg guy’s garden! 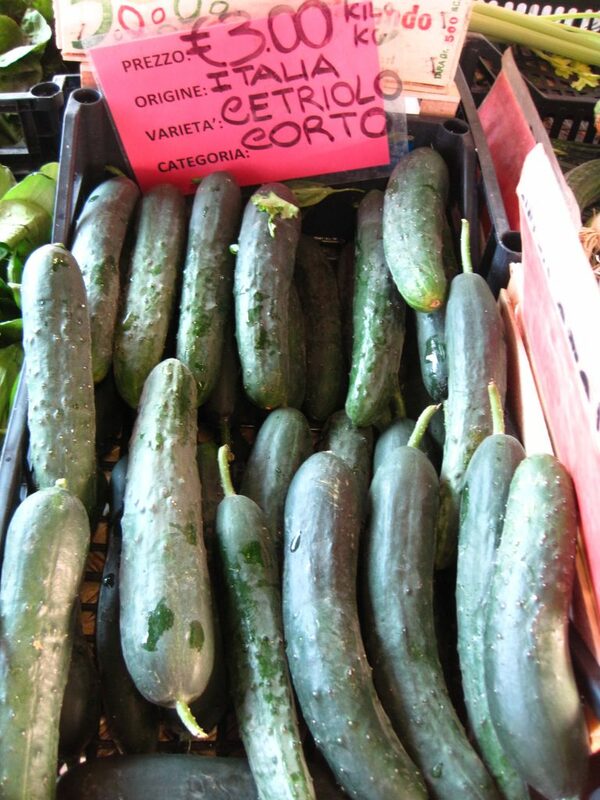 These were so amazingly sweet and crunchy- unlike any cucumber from those nasty greenhouses you find in the states. 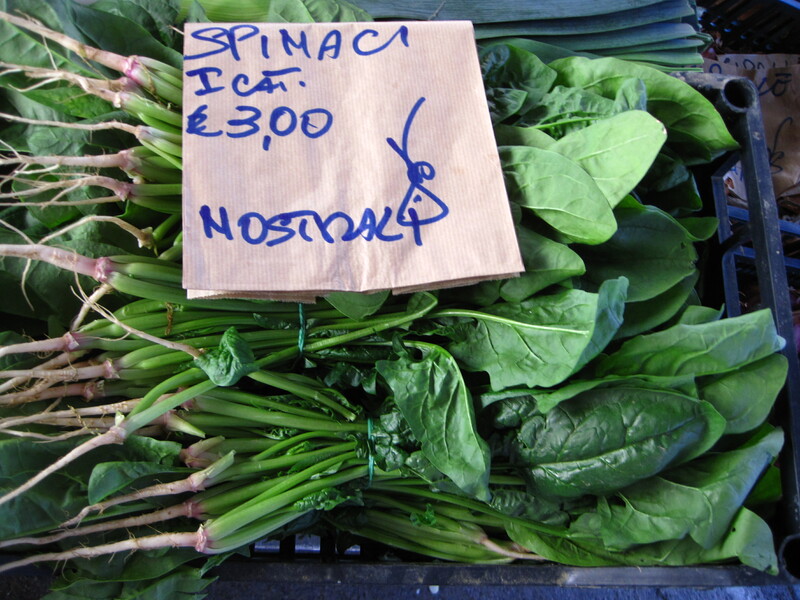 One of this things I LOVE about Italian produce is there is variety with the same veg! These have a more cucumber taste than the ones above- also less crunchy and better for sandwiches or dipping in oil. Zucchini flowers are in full bloom. 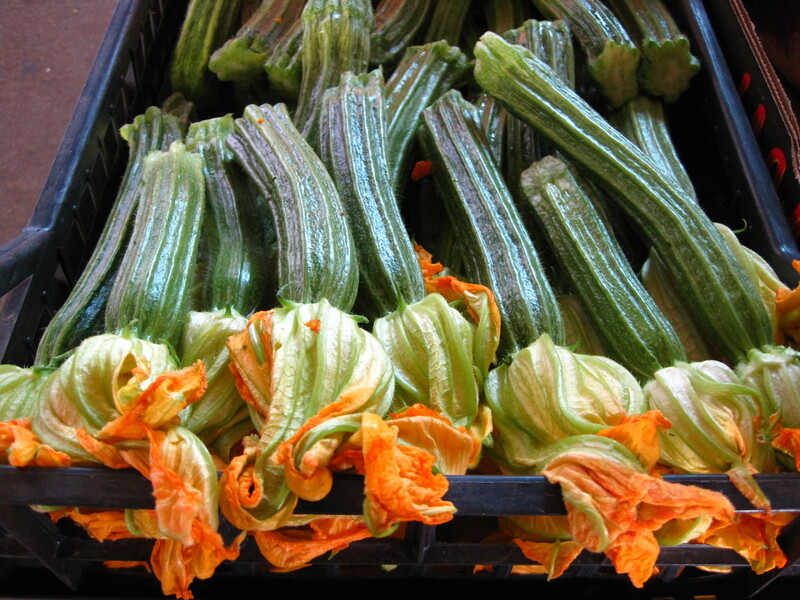 While they may be better in Rome, in Florence be sure to order “fiori di zucca fritti” Fried zucchini flowers. With a Florentine steak? You may as well be in heaven. 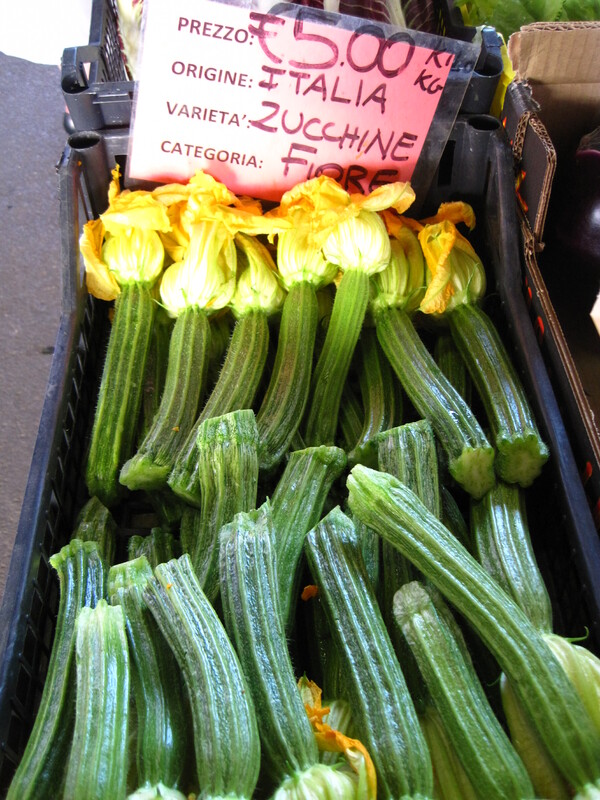 If you buy these zucchine with the flowers on, be careful when handling- they are prickly! Some spring spinach is popping up! 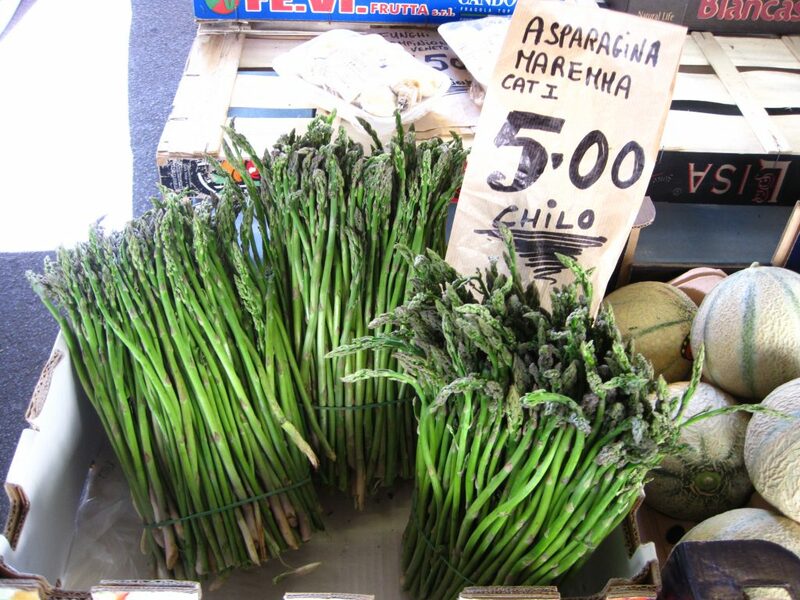 Asparagus from the south of Tuscany (Maremma), again not in Florence or near Florence like my veg guy’s garden BUT make sure to order asparagus while they last! 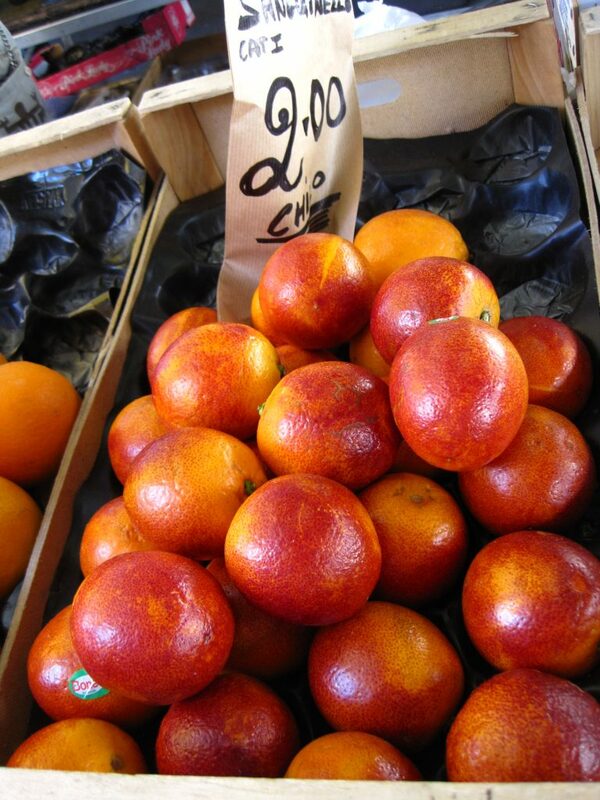 Basically, the only Italian fruits you will find right now are blood oranges from Sicily, some apples and new strawberries from Southern Italy, If you haven’t had a blood orange- now is the time to have them! 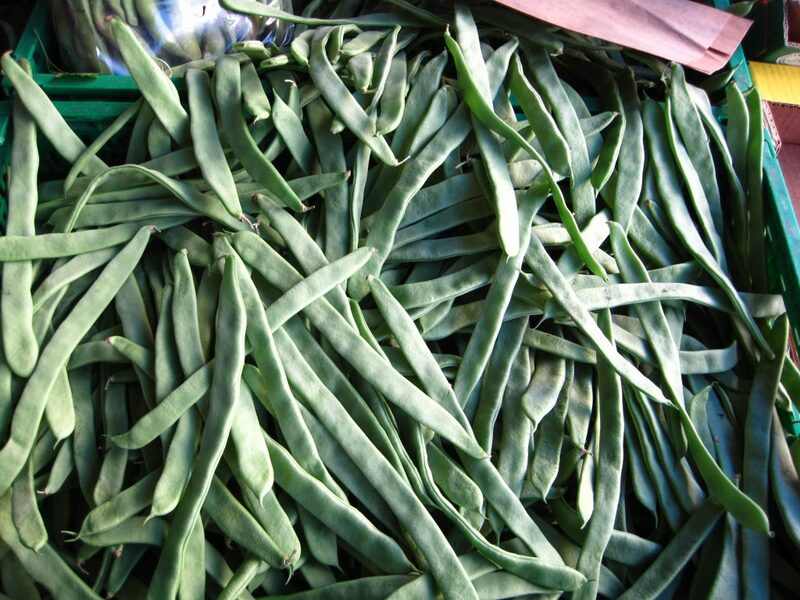 Perhaps slice up and throw in with some fennel for a fresh Spring salad. I’m sure I am missing a few other vegetables such as peppers, sweet long peppers, fennel, etc. Have anything to add? Leave a comment and I’ll investigate! Looking for a couple restaurants who are serving up what is in season? For those lovely asparagus from the Maremma, check out Ristorante Del Fagioli on Corso Tintori near the Santa Croce Area. Like this post? Scroll up to the right to subscribe! Want to discover more restaurants in Florence? Consider a Progressive Dinner Crawl sauntering from appetizers to dessert at different eateries around Florence- with a huge emphasis on seasonal eating and traditional Tuscan dishes. Need more dining advice? Contact me for restaurant guidance in Florence.